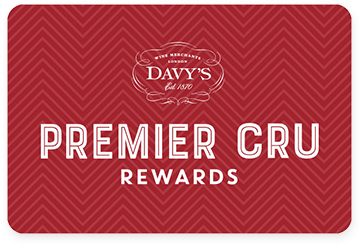 Premier Cru Rewards - Purchase this today and earn 180 points to redeem for free wine and gifts. Stephane Ogier took over his dad’s domaine, Michel and has now established himself as one of the best Côte Côtie’s producers, making some of the best example to be found. Aged for 15 months in oak barrel. This blend of both Côte blonde and brune is refined and elegant with soft and silky tannins. Stephane Ogier took over his dad’s domaine, Michel, in 1997. Michel used to sell his entire crop to renown winemakers Chapoutier and Guigal, but in the 1980s, he decided to invest and, dedicated himself to his small vineyards located in the Côte Blonde, Brune and Côte Rosiers. Following his dad’s steps, Stephane has now established himself as one of the best Côte Côtie’s producers. He exploits 12 tiny parcels (about 2 ha) that he vinify separately before blending. Aged in oak barrels for at least 18 months in 20 to 100% new oak, depending on the cuvée, his wines are not as full bodied and structured as most Côte Rôtie but, are refined and elegant with soft and silky tannins and reveals the great expression of the Côte Rôtie’s terroir. View our selection.